Armed with a passion in environmental care, Maureen knows she needs a good education to follow her dream of becoming a neuro surgeon, a career that she is totally capable of pursuing if she gets financial assistance. She was born to a single mother and is the oldest of the three siblings all living under the care of their grandmother in a very quiet village. She is a very hardworking girl and this caught the attention of the school administration was able to make an exception to keep her in school despite not being able to pay her school fees. However, the school is no longer able to retain non-paying students, so she’s at a crossroads in trying to find a sponsor in order to be able to allow her the opportunity to finish her high school education. 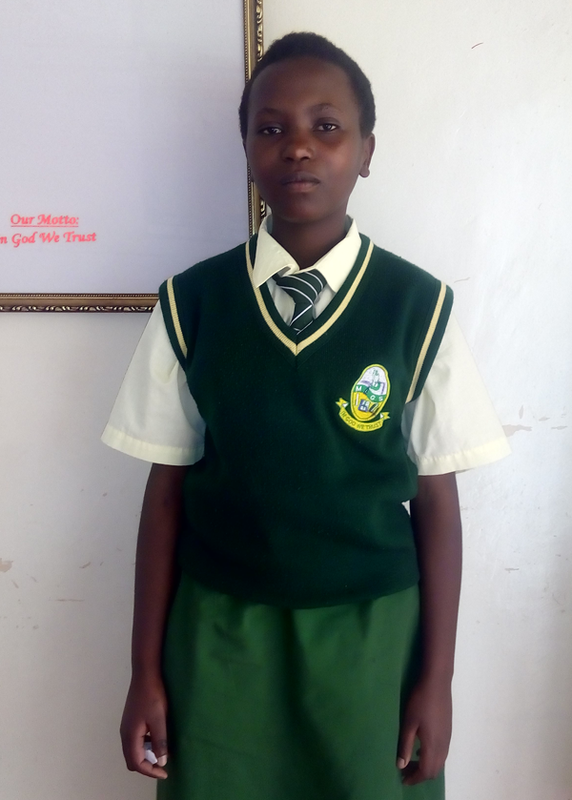 During this first semester as a student at Mary Leakey Girls High School, she has already learnt a lot and she confidently says, “If supported I can easily continue pursuing my passion for environmental conservation and even join the environmental club in this school.” She had previously won several awards as an environmental campaigner in her primary school level. Maureen needs both financial and moral support through this educational journey. She has strong determination and is willing to work hard. Her main fear is if she is unable to get school fees which means she’ll need to resign herself of a dream of getting an education.